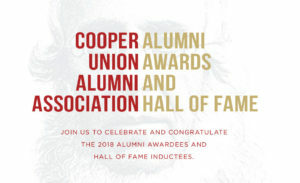 Each year, the CUAA recognizes alumni who have provided exemplary service to The Cooper Union and to the CUAA. This year’s recipients of the Alumnus of the Year and Young Alumnus of the Year stand out for their levels of dedication to the on-going effort to bring the school back to Tuition Free. Join us to celebrate and congratulate the 2018 Alumni Awardees and Hall of Fame inductees. Nils Folke Anderson graduated from The Cooper Union School of Art in 1994, and earned an MFA from Hunter College in 2007. He operates a sculpture studio in Crown Heights, Brooklyn. His sculptures and installations have been exhibited in numerous solo and group shows, including at the Robert Miller Gallery, Phillips de Pury, and the University of Georgia, Athens. Nils is also active as a commercial real estate broker. His company, Torus CRE, works primarily with creative and industrial businesses in NYC. Shankar Venkataraman is an electrical engineer specializing in communications systems. He has been with Parsons for eleven years and works out of the Newark office. His work includes the design of communication and security systems for the new PATH Station at The World Trade Center. 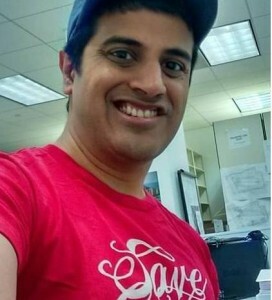 Shankar has been a CUAA Council member since 2015. In 2015, he was a key player on the Get Out the Vote committee, which was organized when the responsibility for running elections was first transferred from The Cooper Union to the CUAA. During the 2015/2016 academic year, we had two CUAA elections and Shankar worked tirelessly on both efforts. Since 2016, Shankar has chaired the Election Committee, which includes overseeing the creation of the electronic ballots, the distribution of the ballots, and numerous communications with alumni. He has also served on the nominating committee and helped with logistics for CUAA meetings and events. Read More. Each of these awardees will receive their award and be inducted into the Cooper Union Hall of Fame on June 1, 2018. Richard Sarles CE’67 has spent his entire career in public service. He has succeeded in significantly improving the quality of mass transit in New Jersey, in the Washington DC Metro Area, and the full Northeast Corridor. As the CEO of the Washingon Metropolitan Area Transit Authority, he helped transform the culture and governance of the organization. As Assistant Executive Director and then Executive Director of NJ Transit, he advanced the business plan to construction start of Hudson River rail tunnels. At Amtrak, first as Assistant Vice President and then Vice President, he led the implementation of the Acela high speed rail service from Washington, DC to Boston. At the Port Authority of New York and New Jersey, his accomplishments include an overhaul of many passenger cars and the manufacture of new PATH cars in New York. He also oversaw the modernization and reconstruction of major trans-Hudson facilities. 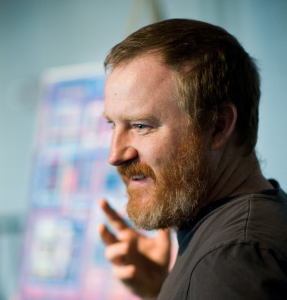 Richard Sarles received a Cooper Union Presidential Citation in 2011. Joanna Sherman A’69 is the founder and Artistic Director of Bond Street Theatre. She has been initiating and directing theatre projects for social improvement globally since 1984 and in Afghanistan since 2002. Her company works primarily in post-war, refugee and disadvantaged communities, collaborating with local artists, and applying the arts to the peacebuilding process. Current focus areas: Afghanistan, Myanmar, Malaysia, Lebanon and Tunisia. Joanna received the 2014 Lee Reynolds Award from the League of Professional Theatre Women and the 2015 Otto Award for Political Theatre, and served as a Cultural Envoy in Myanmar in 2010. 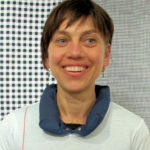 Under her directorship, the company received a MacArthur Award for its interdisciplinary and intercultural programming. 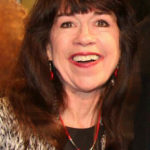 She has been an advocate and speaker on the role of the arts in peacebuilding at the United Nations, National Council on Women, US Institute of Peace, Association of Performing Arts Presenters, UN Conference on Women in China, universities, and other arts fora, and featured on CNN, BBC, NPR, Voice of America and Radio Free Europe. Publications include The Children of Afghanistan (University of Texas Press) and articles in American Theatre and Women in Theatre magazines. Michael Samuelian AR’95 is the President and CEO of the Trust for Governors Island and an Assistant Professor of architecture at The Cooper Union. He was previously a Vice President with Related Companies, where his work focused on the design of large-scale public private development projects. He was responsible for the urban planning and design of Hudson Yards. Michael’s professional career has focused on large-scale commercial and urban planning projects with Machado Silvetti in Boston, SMWM in San Francisco and HOK Architects in New York. 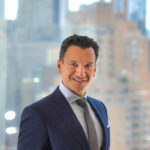 At HOK he was the lead designer on a number of commercial, transportation and institutional projects including; Penn Station Acela Improvements, the Integrated Science Facility at SUNY Geneseo and the Somerset Corporate Center. Katie Merz A’84 is an artist, illustrator, muralist, and professor. She has been working as a fine artist for over 30 years. Her thematic devotion to purity of line is expressed through a variety of art forms, ranging from drawing to painting to illustration and cartooning, to large-scale public art commissions. Her signature-style, densely packed glyph patterns create complex, non-linear narratives that can cover a sneaker or a building with equal effectiveness. Her work conjures up long stories about what “it” is that makes a place. Her abstract paintings steer her message away from literal narrative toward a kind of colorful atmospheric poetry. Katie taught drawing at Cooper for a number of years, and her Williamsburg mural project, featured on Cooper’s website in 2016 (link), has delighted countless New Yorkers. 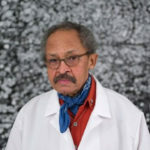 Jack Whitten A’64 was a leading, recognized figure in contemporary art, and a beloved Cooper Union Art professor for many years. President Barack Obama honored him with the 2015 National Medal of the Arts. This medal was created by the United States Congress in 1984 and is considered to be the among the most prestigious awards granted to an individual in the arts. In 2014, the Museum of Contemporary Art in San Diego, California, hosted a major retrospective exhibition which later traveled to the Wexner Center for the Arts and the Walker Art Center. A 40-work survey of his sculptures will open in April 2018 at the Baltimore Museum of Art, and will later travel to the Metropolitan Museum of Art. Mr. Whitten passed away on January 20, 2018. He was 78. This entry was tagged Jack Whitten, Joanna Sherman, Katie Merz, Michael Samuelian, Nils Folke Anderson, Richard Sarles, Shankar Venkataraman. Bookmark the permalink.